Clearly the word "blues" will not be unusual in association with the Heath brothers. For a Briggensian, however, the words in the above heading have quite a different resonance. For brothers John and Duncan Heath are among the most distinguished of recent Briggensians - and remarkably, this applies equally in the sporting and academic spheres, as recent news confirms. John, the elder brother, studied German and Dutch at Pembroke College, Cambridge, gaining a First Class degree in Modern and Medieval Languages. He also spent a year teaching English in Vienna. John went on to gain a doctorate (in October 2004) based on a study of author Stefan Heym, anti-Nazi, American soldier in World War II, first supporter and then opponent of the Communist regime in East Germany, who had the largest Stasi (secret police) file in that country, and who before his death in 2001 at the age of 88 left his huge archive to Cambridge University. In addition to a distinguished academic career, John also found time to achieve the award of Cambridge Cricket Blues in 2002 and 2003. He has recently been teaching at the University of Vienna. Duncan followed his brother to Pembroke College, Cambridge, in his case studying German and Russian. He also spent an academic year in Cologne. This summer he too graduated with a First Class degree in Modern and Medieval Languages, gaining the best marks in his year in the oral examination and was awarded the Ann Ellis Prince Prize by his college. Duncan plans to go to Law School with a view to a career as a barrister. 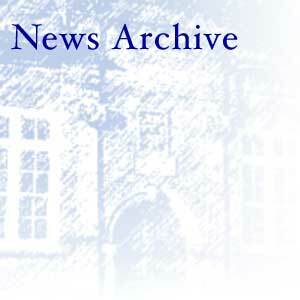 The brothers' unique sporting achievements attracted much attention at Cambridge, with a special article about them appearing in the Martlet, the magazine for Pembroke College alumni. I don't know about you, but I have a feeling that we haven't heard the last of the Briggensians' very own Heath Brothers.